This Shouldn't be so Difficult! Those of us in the nuclear field frequently find ourselves having to address inaccuracies in published material. In the past, I've encountered 2 categories--publications from organizations with a bias against nuclear power, and publications that attempt to be balanced, but sometimes make a mistake. Today, I just encountered a third class--a publication that I thought was respectable, but that responded to my observations about a deficiency in their reporting by circling the wagons. So far achieved in a handful of labs at great cost, the process entails fusing atoms together to generate energy, as opposed to fission, the atom-splitting process behind nuclear bombs and power stations, which carries the risk of costly accidents, theft of radioactive material and dealing with dangerous long-term waste. I immediately found a contact link and sent a message that indicated that this paragraph was highly inaccurate and misleading, and that I was surprised to find such a statement in this publication, particularly without attribution, as though all of this was established fact. Among other things, I noted that, 1) fusion is used in bombs as well, 2) other energy sources generate toxic, long-lived wastes, 3) fusion isn't mature enough to know what its negative features are, and some radioactive byproducts will certainly be among them, and 4) the mention of accident risks and thefts of material need to be put in context. Now, I have commented on statements in publications before, and if the publication is a reputable one, I usually get some acknowledgement that a statement was not as carefully thought out as it should have been. In print publications, the resolution is sometimes an editorial correction in the next issue. In online publications, it is a change in the text, and a mention that the text was corrected. Therefore, when I received a response within 45 minutes, I was initially pleased. But then I opened their message and discovered that they totally rejected all my points, even the factual statement that nuclear fusion is used in weapons. Their argument was that the description of fission was "a stock, standard description." They also argued that they provide extensive and detailed coverage of nuclear power news and technology, and therefore, "to single out one story without placing it in context to the rest of the news coverage creates a false impression..."
The only problem with this response is that no one reads everything, and no one remembers everything they read. And the statement is made without any attribution or qualification. I do realize that an article on fusion is not the place to digress into a long discussion of fission. However, the article could have stood on its own without saying anything about nuclear fission. In fact, the initial point of the comparison is clearly on the difference between fission and fusion, and the thought should have come to a full stop after saying that one process fuses atoms together while the other splits them. But, once they made a statement that is so problematical, they should have responded to me much differently. Any responsible publication that makes should be open to making corrections and clarifications. I felt that some of my readers who may also read Energy Daily or other publications from this source might want to be aware of the level of their reporting, and of their attitude about it. I tried to comment to the editor privately, thinking to save them the embarrassment of having their errors called out publicly, but since they seem to be unwilling to acknowledge even the most obvious errors, I should note that there is a place for comments at the bottom of their page. I woke up today to news articles in several sources highlighting the fact that today marks the 75th anniversary since the world's first man-made nuclear reactor began splitting atoms. I'm a little chagrined that I didn't think of this earlier myself, since it holds a major spot in my book, "Nuclear Firsts: Milestones on the Road to Nuclear Power Development." In truth, I've been a bit distracted by other things in recent weeks, and have neglected blogging altogether, so the reminder I got from others about this anniversary has drawn me back to the keyboard. When I wrote the book on Nuclear Firsts, it was almost a little surprising to me to see how many milestones there were in the development of nuclear power, and how so many milestones were small steps that built on other small steps. This probably shouldn't have been so surprising to me. After all, science and technology have always built upon past developments. 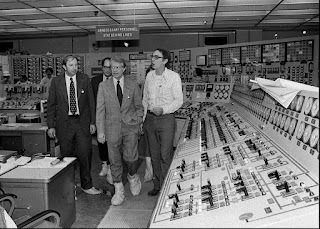 In addition, I was well aware of the different types of reactors that were explored in the early days, each of which were steps in different directions. Likewise, I was aware that the other parts of the fuel cycle, and particularly, in the different enrichment technologies that were tested again each constituted steps in different directions. As I wrote the book, I kept finding more of these small--and maybe some not-so-small--steps, and the book kept getting longer. But through it all, it occurred to me that there were really layers of importance, and some of the firsts were definitely more significant than others. I didn't try to explore this dimension in the book, perhaps because it was too subjective and too dependent on which end-points one looked at (after all, the Canadians might have a different perspective than the US on which technological developments were most important). 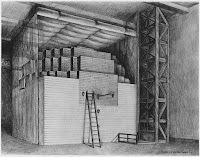 But if any one event stands out as being a truly pivotal event to almost all subsequent developments, the first demonstration of a controlled fission reaction at Chicago Pile 1 (CP-1) on December 2, 1942, would have to be a leading candidate. Not only was it a giant scientific step beyond anything that had been done before, but given world events at the time, it very quickly launched a major development effort that led to transformative applications on both the military and civilian side. It is certainly true that CP-1 didn't develop in isolation. It was built on a number of scientific experiments and theories that preceded it. And it is true that it might have been forgotten if nothing else had followed. 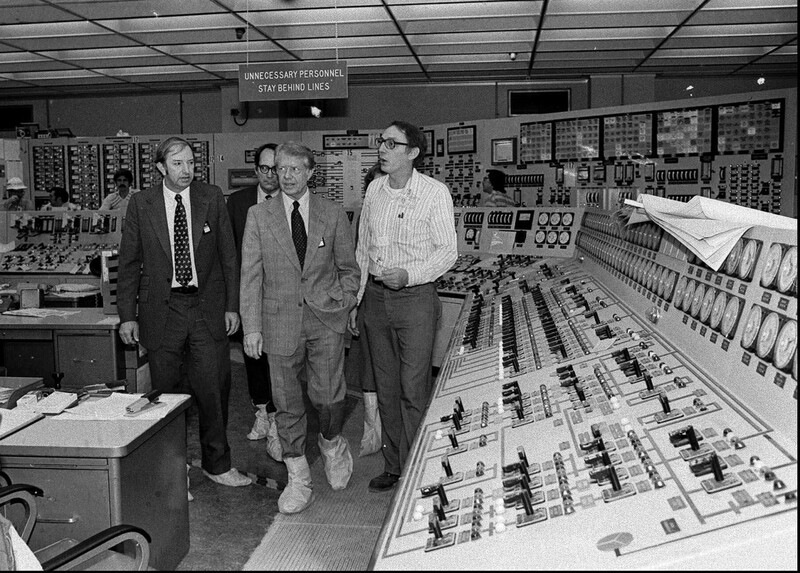 But given that so much did follow this historic day, it is appropriate to celebrate this milestone anniversary in the development of nuclear power. I recently saw an article discussing the use of solar panels by the U.S. military. It cited a Department of Energy (DOE) study concluding that the military needs to rely more on solar power in order to eliminate weaknesses in the grid. The article speculated that, with military funding to help address some of the drawbacks of solar power (including energy storage), there might be a knock-on effect for the general public as well. The story brought back memories. Early in my career, I worked for an Air Force think tank called Analytic Services (or ANSER). Since I was the resident nuclear engineer, by extension, I was also assigned other energy-related projects. Which is how I came to work on a project to explore the possible use of renewable energy to provide power for military bases housing MX missile systems. I worked on it for some months, and even published a paper on it. Alas, this was so long ago that I couldn't find it on the Web when I looked, but I did find a passing reference to the concept at the end of a 1979 article. I hadn't thought about that project in years, but seeing the news item made me reflect on how many technologies don't get off the ground the first time. This is true in the nuclear area, too, as we are now talking about technologies like molten salt for nuclear reactors as though it was a brand-new idea, when in fact, that was one of the technologies that was explored in the earliest days of nuclear power development. This development reinforces the observation that the path to a technological development is not always a straight line. Modern windmills are, of course, a new incarnation of a very old technology, once used for mechanical power, not electricity. Nuclear technologies that were once sidelined for a variety of reasons are now receiving renewed interest. Now, it may well be that solar power for military applications merits another look. I've been away from it too long to make an educated judgment. I just wish I'd saved the work I did so many years ago! Just when you think you have a good handle on the facts, along comes a study that casts doubt on some of the "conventional wisdom." And perhaps most surprisingly, the land-use needs of natural gas are similar to wind and solar production, at least in some locations. I hasten to note that these are newly published results and it will be interesting to see the response to them. In the first place, both studies looked at specific geographical areas, so it will be important to see if the results are typical of other areas. Also, there may be ways that some of these concerns can be addressed. The article hints at that, noting in particular that there are ways to decrease the land-use footprint. However, the two studies do point to the fact that, once again, we find ourselves making greater use of a well-known technology, and suddenly finding that scaling it up introduces unforeseen problems. Given the growing importance of natural gas in our energy use, it will be important to explore these issues further. For one thing, the fact that productivity may decrease over time will result in higher gas prices, and thus our growing dependence on natural gas may cost us dearly in the future. This, to me, reinforces the argument that it is important to maintain a diverse energy supply, and that energy policy should recognize this and incorporate measures to assure that we maintain a healthy mix of energy sources over the long term, including both nuclear power and renewables. I haven't blogged in a few weeks, in part because, this past month, we took our first long cruise on our Silvergirl. And while I returned to a world with lots of new news about nuclear power, before I turn to current events, I can't help but try to process what I was thinking as we cruised down the Chesapeake Bay and back. And what I was thinking was that I saw lots of parallels between my experiences on the water and my professional life. In one way or another, they all boil down to defense in depth. As a sailboat owner, you've got to believe that I like the wind. The idea of gliding silently through the water, the kinship with the sailors of old. There's nothing quite like it. But my husband and I learned many years ago, on our very first overnight cruise on our very first boat, that there is a downside to relying completely on the wind. We had set ourselves a destination, and we were determined to be purists and to get there under sail. The wind was light, and we inched along, oblivious to the time. Suddenly, we realized that it would not be possible to reach our destination. Fortunately, that day there was another safe anchorage on the way, and we detoured to stay there. But there is not always a safe place to stay on the way. So ever since that very first cruise, we've ceased being purists. We watch the clock and turn on the motor in time to get where we want to go. But it is not only propulsion where I see defense in depth on our boat. In a sailboat, you are largely self-contained. Even in a place like the Chesapeake Bay, where you are never far from land or from other boats, if you cruise, you may have to be able to fend for yourself for a day, or sometimes a couple of days. This usually means backup systems, and it always amazes me how much backup we have in the confines of a small boat. It is a floating box of defense in depth. For example, we have backup clothing and bathing suits in case we get wet, or in case it's colder than we expected, or in case we want to swim on a day we hadn't planned to, or in case a hat flies off. And since food is very important, we have extra layers of defense in depth there. Our cooking stove is fueled by propane, and we have an extra propane tank. And if that should fail, too, we have a barbecue. And if that should be impossible to use (for example, in a heavy downpour), we have food that, in emergency, we can eat without cooking. We have a water tank on the boat, but we also carry a few gallon jugs filled with water. Safety equipment? We have high-tech life jackets that are supposed to inflate automatically, but have a way to be inflated manually if they don't deploy automatically. We also have extra low-tech life jackets. And we have seat cushions that can be used as flotation devices. And we have a gadget called a LifeSling that is a step up from the traditional life ring tied to a rope, designed to be thrown to someone in the water. We have 2 radios and a hand-held radio. And we each carry a cell phone. We have a GPS, and the cell phone is the backup for that, too. We also have extra rope, a whole kit of tools and extra hardware for the boat, an extra anchor, extra fenders to protect the boat when we're docked, extra...well, you get the idea. Of course, on the sailboat, no one calls it defense in depth, but that's what it is. And every time we have to resort to one of our backup systems or supplies, I think about all the redundancy in nuclear power plants. It's not quite the same thing, of course. On our sailboat, we are not likely to to make the evening news if we are becalmed, or if the engine conks out. But the philosophy of having an alternative way to accomplish necessary tasks seems familiar, indeed, as we ply the waters of the Chesapeake. In the past few weeks, I have been seeing a variety of articles on the issue of subsidies for energy sources. The first one I saw was a call for the end of subsidies for nuclear power plant operation. This article particularly criticized the recent initiatives by several states to provide support to assure the continued operation of nuclear power plants. Nowhere did that article address the existence of other subsidies, such as those for renewable energy sources. The other article was a much more comprehensive analysis by James Conca, writing in Forbes, that pointed out that there are a variety of different kinds of "subsidies" for energy sources, and analyzed their characteristics and their impacts. Seeing the two articles almost at the same time brought to a head some thoughts I've been struggling with for some time as I have heard vastly contradictory accounts of which energy sources are being favored, and as I've tried to square these viewpoints with what is good for the public and good for the country. First, as Conca makes clear, tax and other incentives may reduce the cost for the user or the provider, but they do not change the total costs. The taxpayers absorb the difference, effectively redistributing the costs. This is largely invisible to most people, of course. And it makes it much harder to understand the true costs, or the true consequences of the measures when they are applied in a complex, interacting environment. For example, tax and other incentives to use renewable energy sources are designed to incentivize behaviors that are considered good for the country. Thus, the various kinds of incentives outlined by Conca in the Forbes article are intended to encourage the use of forms of energy that reduce air pollution and carbon emissions. But when such incentives are written narrowly, they may exclude other sources of energy that can achieve the same end. In this case, most of the measures designed to incentivize the use of solar and wind energy do not offer the same, or similar, benefits for nuclear energy, even though nuclear energy offers equivalent environmental benefits. Some might point to other considerations, such as the radioactive waste from nuclear power plants, as a reason to treat nuclear power differently. However, all sources have other potential issues--land use, materials requirements, and yes, waste products, and each needs to be dealt with in an appropriate and equitable manner. Trying to use a clean-air measure to address other issues selectively is ultimately not the best approach. To add even further to the complexity of the situation, since solar and wind energy are intermittent, some backup power is needed, and recent developments in the production of natural gas have led to abundant, and cheap, supplies of gas. This is a relatively recent development and may not have been anticipated when some of the measures for renewables were developed. The problem is that natural gas, while it is cleaner than coal, still has more emissions than nuclear plants. So, if the result of the tax incentives for renewable energy sources and the sudden abundance of cheap natural gas is to end up causing nuclear power plants to shut down prematurely, then the tax and other incentives for renewables are, in a sense, helping undermine a part of the reason these measures were developed in the first place. Ideally, one might say that the incentives for renewables should just be eliminated. However, this is too simplistic. In the first place, many individuals and companies have now made decisions based on the existence of those incentives, and cutting off the incentives might be unfair to those people. Secondly, cutting incentives might not have the desired effect anyway, since natural gas prices are still cheap. In fact, such a measure might even accelerate the dependence on natural gas--and increase the emissions as gas plants replace closing nuclear plants. Furthermore, for many reasons, it is desirable to maintain a mix of energy sources. This helps mitigate sudden disruptions in supply and helps mitigate any negative environmental impacts of one source. Therefore, while natural gas is much cleaner than coal, there are downsides to allowing current costs alone to dictate the future energy mix. Thus, some state governments are gravitating toward considering incentives to keep nuclear power plants in operation. I don't think anyone views having more incentives as the ideal approach, but the states are dealing with a complex and evolving reality. This type of measure effectively helps level the playing field for all energy sources that have low carbon and other emissions without pulling the rug out from under those who have invested in solar and wind systems based on government tax and other programs. In the last few years, the deregulation of the electricity markets in the U.S. has proven to have a major impact on utilities and on the nuclear power plants they operate. It is interesting to look back to the early years of the 21st century, when widespread deregulation of the U.S. electricity markets was in its early stages, to see what the concerns were and how the anticipated spread of deregulation in the electricity markets was being viewed. Overall, the study suggested that economic deregulation need not compromise safety. However, the study cautioned that safety after deregulation cannot be taken for granted. They noted instances of financial pressures, mergers and acquisitions, increased use of contractors, and downsizing having some level of adverse effects on safety and safety culture. The study also noted that the magnitude and speed of changes can create challenges to the management of safety. The 2001 study concluded that the review and understanding of the problems in other industries could help identify ways of preventing similar safety problems in the U.S. nuclear power industry. Fast forward to 2017. To date, safety of the nuclear power plants has been maintained, despite the fact that the deregulation of the electric power markets has spread, so the issues identified in this study, as well as other efforts to maintain safety in a changing environment, appear to have had a positive impact. We can also see that the concerns over the effects of deregulation of the electricity marketplace continue. In fact, if anything, they have broadened. Today, we are also concerned about the impacts of the premature shutdowns of nuclear power plants on the grid reliability and overall electricity supply. In light of this, NRC continues to monitor the state of the industry to assure that nuclear safety, as well as decommissioning requirements, can continue to be met. 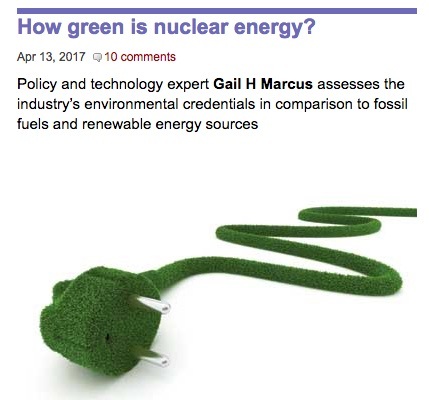 I am pleased to report that I recently had an article published in Physics World called "How Green is Nuclear Energy?" I developed this article in response to their request, and it was published as the lead article in their special issue, "Focus on Nuclear Energy." The online version of the article at the link above attracted a number of interesting comments. Several of the comments addressed areas that I hadn't covered in the article. These were valid criticisms, but I was dealing with a strict word limit, and as I have observed many times, energy is a very complex area. Any analysis of energy alternatives must address multiple dimensions, including economics, health and safety, environmental impacts, resource availability, and reliability. And each of these areas has multiple dimensions as well. For example, environmental considerations include impacts on air, water, and land. To say nothing of the fact that some elements of the picture change over time--new technology developments, new resource discoveries, changing international political alliances, and other factors all affect the comparison of different energy supply alternatives. So, when I undertook this assignment, the editor and I agreed that I should focus a lot on greenhouse gases (GHGs), since that is a major concern around the world today. The editor also wanted me to address the issue of waste, as that is an issue that is often regarded as the Achilles heel for nuclear power. Even covering those areas proved quite a challenge, and in the end, I would characterize what I wrote as an overview of the topic. I tried to mention other elements that could affect the comparison of energy technologies, but did not have the space to explain them. Thus, some of the comments picked up on areas that I had only mentioned in passing. For example, one comment noted that the impact of nuclear accidents on the environment might trump the benefits of nuclear energy. This topic alone is a huge one, and to address it properly, one would have to compare region impacts versus global ones, short-term impacts versus long-term ones, the costs and potential for cleaning up from accidents versus dealing with climate change, and much more. And, while the impacts of an event at a solar or wind farm may be small, one should then consider the whole life cycle of other technologies. To cite just one recent example that crossed my desk, solar panels and wind farms use materials that are, to date, in limited supply. However, some people believe that there are large untapped resources at the bottom of the sea--but mining materials for solar panels in the oceans can carry risks to the environment in case of accident that could be widespread and significant. Other comments legitimately noted areas that I hadn't addressed. One commenter, for example, spoke to the fact that we should reduce our use of energy. I agree that conservation should be part of the equation (although the author of the comment may have had more in mind than the type of conservation I am thinking about), but trying to evaluate how much we could save was beyond my mandate. Furthermore, globally, there are huge numbers of people who live in severe energy poverty, so the calculus of how much energy the world really "needs" quickly becomes very complicated. 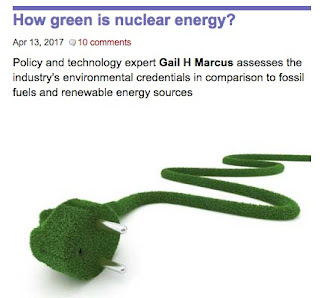 My focus was limited to addressing nuclear power as one option to meet whatever energy needs society has, and to assessing nuclear power in terms of its effects on the environment, i.e., it's "greenness." Another commenter observed that we may not really know how good or bad different pollutants are. Can increased levels of CO2 be a good thing? Can radioactivity lead to mostly good genetic changes? And the author of that comment wonders if mankind will even be around forever, so what difference does it make? Again, my mandate stopped far short of such apocalyptic musings. The author of that comment does make a good point that perhaps there may be ways to recycle CO2 and use it, and indeed, there are researchers looking at just such things. But, unless you feel that the fate of mankind is already determined and there is nothing we can do, I feel that our role is to plan the best we can for the world as we know it. It is a delicate balance, I know. You can't totally ignore the fact that we are working on improved ways to store energy, cheaper and more efficient solar cells, advanced nuclear reactors, nuclear fusion, etc. I do not doubt that, 100 years from now, the conversation about the greenness of one source of energy or another might be very different. But today, we can only operate on the best knowledge we have, and my comparisons are made in that spirit. Finally, one commenter noted that I hadn't covered all the materials issues associated with power production. 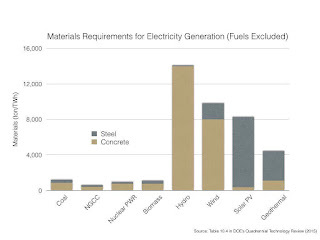 In particular, that author mentioned the large amount of cement needed for nuclear power plants. 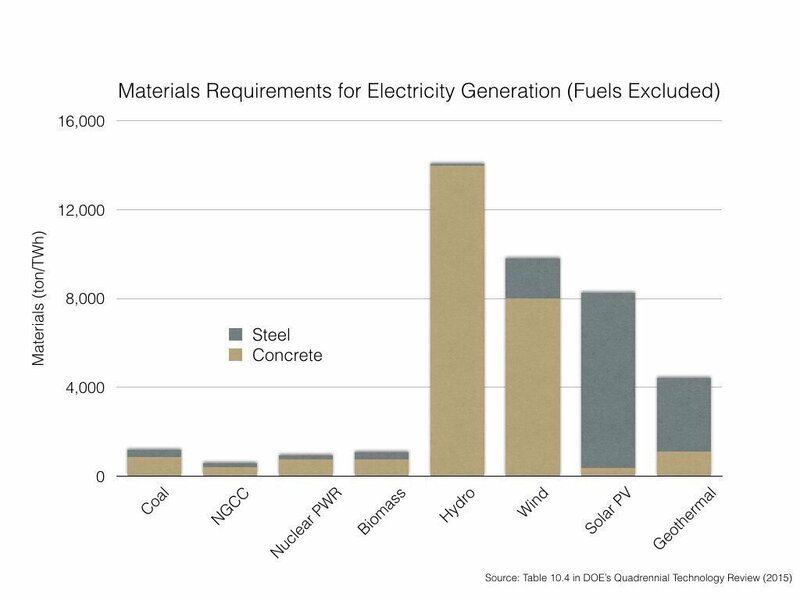 This one was of particular interest to me, because I have seen a lot of discussion of the materials requirements for different energy sources, and while current nuclear power plants are large structures and clearly require a lot of cement, most sources I've read point to wind and solar energy as the major culprits for large use of construction materials. While a single windmill is, of course, much smaller than a nuclear power plant, the diffuse nature of the wind and sun creates a requirement for many windmills or solar panel structures, and the resulting use of materials is much higher, per unit of energy generated, for solar and wind plants than for nuclear plants. One example of the comparisons I have seen is provided in a table by Breakthrough, that is based on data from a report by the University of Sydney, in Australia. My one brief article was not intended to address all the issues. Nor was it intended to "prove" that nuclear power is the best of all options. As I said in the article, there are clearly shades of green. And there are shades of any other element of energy production we may care to examine. The whole point of my writing the article is that we need to move away from the simplistic views of energy technology that regard wind and solar as green because it is natural, and everything else as bad. Wind and solar power do have impacts on the environment, and a fair comparison of energy technologies has to look at multiple dimensions. Each will excel in some areas and fall short in others, and finding the right balance is, and will remain, a difficult and imperfect process. In the wake of the announcement this past week that Westinghouse filed for Chapter 11 Bankruptcy as a result of the losses incurred in the construction of four AP1000 units in Georgia and South Carolina, everyone is trying to figure out what happened. Westinghouse, after all, certainly has long and extensive experience in the nuclear power design and construction business. They have been in the nuclear business since the 1950s, and were responsible for the Shippingport reactor, one of the first commercial power reactors in the world. The Westinghouse website states that, "Our technology is the basis for nearly 50 percent of the world's operating commercial nuclear power plants." And, after all, NRC had put in place a rule, Part 52, that was designed to make the licensing process more efficient and predictable than the old process (Part 50) had been. So, what could have gone wrong? In just the few days since the announcement, I have read several analyses that come to very different conclusions about the cause of the bankruptcy. I am still sorting out all the views, but in the meantime, I thought it might be helpful to start tracking the various opinions and thinking about them. I thought some of what I have been finding might be useful to share. One of the first analyses I read, by Rod Adams, focuses on regulatory requirements that were imposed on these four units at a late stage in their design. In particular, he points to changes in 2009 in NRC's requirements regarding aircraft impacts. He notes that the NRC exempted current plants, and plants for which a construction license had already been granted. Although the Summer and Vogtle units did not yet have construction permits and the detailed design was not yet complete, the design as it existed at that point had been sufficient to serve as the basis for a cost estimate and a firm price. The subsequent redesign effort led to delays and resulted in a significant impact on the facility structure. Another early analysis, by Jim Conca, attributes Westinghouse's problems to bad business decisions. Conca points out that Westinghouse chose the Shaw Group to manage the construction of the four units at the two sites. Shaw had no direct experience building nuclear power plants, but it had bought Stone and Webster out of bankruptcy. Stone and Webster was an old nuclear company and had been responsible for building a number of nuclear power plants between the 1950s and the 1970s. This gave Shaw the credibility to win the contract. However, Stone and Webster no longer had any real nuclear expertise or staff, and the project experience significant delays and cost overruns. Conca details further transactions, including to Chicago Bridge and Iron, which was a large engineering firm, but also had no nuclear experience. Still another view is espoused by Paul Dickman, who previously worked at the NRC. He points to the loss of the skilled workforce. Of interest, he attributes lack of experience as a factor on all sides, not only on the construction side. One argument I haven't seen offered yet for the particular case of the Westinghouse bankruptcy, but that I have seen mentioned before for large-scale projects like nuclear power plants is the fact that many, if not most, large-scale projects seem prone to significant cost overruns. Much has been made about this in the case of recent projects to build facilities for the Olympics, but many of the articles on the cost overruns for the Olympic facilities also mention other "megaprojects," such as bridges, highways, railways, and power stations. My own guess is that several of these factors, perhaps even all of them, may be contributing elements. For any one element, perhaps one could argue that Westinghouse should have anticipated some problems and built in some margin in its estimates or incorporated some flexibility in their contracts, but perhaps the combination of all these factors was a "perfect storm." The only thing we can be sure of at the moment is that there is likely to be a lot more evaluation of all the circumstances leading up to this bankruptcy, and a lot more guessing about what Westinghouse should have done. Or, perhaps of more relevance, about what vendors should do in the future. I have long been troubled by the question of how society should deal with the human impact of technology advances. I have been especially concerned when I see advertisements for an industry arguing that a factory or a power plant or a coal mine needs to be kept open because of the jobs these industries generate. Therefore, I was very pleased to see an article by Professor Maria Zuber of MIT reflecting on just this situation for the coal mining industry, and offering some practical suggestions for dealing with the impacts of change in a constructive way. In the past, when I've heard advertisements by industry groups promoting themselves on the basis of the jobs they create, one part of me has always reflected on the fact that a lot of occupations that once employed thousands of people now exist as niche markets, if they exist at all. Somehow, in the past, the job market has always evolved and people have adapted. So why is today different? But another part of me recognizes that the situation is much more complex than just telling people to get another job. In past generations, there were more people who were self-employed or who worked at small businesses, and they were spread out geographically. The need for farriers or buggy-whip manufacturers or other such occupations diminished over a period of time, so probably, to a large extent, there was a natural progression. People in these professions continued to work in the professions, but new people didn't take those jobs. Since they were geographically spread, people needing these services could continue to get them, but perhaps had to travel a little farther. I'm not saying that all this happened without any disruption or difficulty, but that kind of transition is not the same as a company employing hundreds or thousands of people in one area suddenly shutting down. We have had some experience with large companies, or industries that dominated a region, closing their doors, and it has not been good. Cities and towns have been devastated by the large-scale unemployment that has resulted from changes of fortune of the industries they hosted. When hundreds or thousands of people in a region are suddenly left without jobs, there is no place for them to turn. It is easy to say they should move to a different region or to a different industry. It is harder to accomplish. Yet, every time I have heard an industry argue that it is important because of the jobs it has creased, I have wondered how we can ever move ahead if we need to keep the doors open because of the jobs. How can we reduce the pollution from dirty industries? How can we reduce the health and safety risks from inherently dangerous occupations? How can we replace outmoded technologies with new ones if we have to keep supporting the old ones? Professor Zuber addresses this issue for the coal industry. What is particularly impressive to me is that she has a very personal perspective on the coal industry, as she grew up in coal country and her grandfathers were coal miners (and were afflicted with black lung disease). Therefore, she does not see this as an us-versus-them or an either-or situation. She argues that we need to reduce the emissions that burning coal produces, but at the same time, she has empathy for the people whose jobs are at risk. The solution she describes is multi-pronged: develop and deploy carbon capture technology, develop other uses for coal, and most of all, develop and support a plan to assist workers in transitioning from the coal industry to other industries. All this is easy to say, but harder to implement, especially if it has to be scaled up to other industries and other parts of the country. Nevertheless, as we move forward, I think we have to avoid the knee-jerk reaction of saying that the jobs justify the existence of a factory or a mine or a power plant. We must instead look at the bigger picture and look at all the options. Professor Zuber's suggestions for the coal industry provide a good model for how we might start to approach such decisions. Is it Good or Evil? After I reported on the death of Harold Denton last week, I couldn't shake the feeling that his career and his role in the aftermath of the Three Mile Island (TMI) accident had some larger implications that I should have addressed--namely, the importance of a good regulator. When I lecture to students on regulation, I always start by saying that, in a perfect world, there would be no need for regulation. Everyone would be capable and ethical and honest--no one would cut corners to save time or money, no one would cheat anyone else, no one would be careless or irresponsible or would handle equipment they weren't trained to handle. We wouldn't need stoplights that end up making us stop even when we can see that no traffic is coming the other way. We wouldn't need to have policemen giving us speeding tickets when, most of the time, you can drive a little over the speed limit perfectly safely. A little more than a century ago, in the rapidly developing United States of America, nearly 1,000 workers died on the job every week, on average. Collapsed mines buried them alive. Bursting steam engines scalded them to death. Pots of molten steel poured over their heads. Whirling saw blades worked loose in lumber mills and turned to shrapnel. Railroad engines crashed. Merchant ships and fishing boats sank in trackless seas. In the years since then, the number of workplace fatalities has been cut by more than 90%, even as the population of the country has more than tripled. The risk of death on the job today is but a tiny fraction — less than 1/30th — what it was on the warm spring day in 1911 when 146 garment workers died in New York's notorious Triangle fire. The fact is that most regulation today was introduced in an effort to prevent a repetition of disasters that were killing and maiming people in the early days of industrialization. Even today, as Von Drehle points out, in countries with lower regulatory standards and higher levels of corruption, we still see factories collapsing and killing hundreds of workers. My other favorite example is the Thalidomide scare of the 1950s. Thalidomide was legal in Europe while the FDA appeared to dither and delay approval for use in the U.S. In the meantime, women using the drug in Europe started to give birth to deformed babies. In the end, it was a single person on the FDA staff who kept asking for more information that saved the American public from the same fate. Until the risks of Thalidomide were revealed, this woman had been widely criticized for causing regulatory delay. Does every regulatory delay save lives? Of course not. Is every search for more information merited? No. Can regulators make an effort to speed up their reviews? Certainly. But it is a difficult challenge to determine how to speed up reviews without risking missing some important potential problem. It is not a problem that can be solved by imposing an arbitrary restrictions on regulations. I do not want to be an apologist for regulation. Regulations do have some inherent shortcomings: they are sometimes made in reaction to a problem, so they are implemented in a hurry and may not fully consider all possible situations and implications; regulators tend to use some conservatisms to try to counter anything they may not have thought of; they tend not to be updated as fast as new technology develops or as our knowledge evolves, so can be out of date. Regulations, to serve their purpose, need to be continually reviewed and modified to reflect new technology, new science, new social developments, and new concerns. Some regulations may even become obsolete and should be eliminated. But evaluating regulations is complex. Regulations exist in a complex world--they have costs, but they also have benefits. Decisions to eliminate or modify existing regulations or to develop new regulations need to be based on objective reviews of the entire picture: the needs, the options, the costs, and the benefits. There is a lot that can and should be done to improve regulation. Regulators should seek to find the least burdensome ways of implementing regulations. The NRC has attempted to encourage this through its Principles of Good Regulation. The paperwork and reporting requirements of regulations are often considerable and should be streamlined where possible. All of this, however, should not be done with a view that regulation is evil and the less we have the better. This should be done with a view toward addressing the kinds of needs that led to the regulations in the first place, whether they were health and safety regulations, economic regulations, or any other kind of regulation. They should be done with a perspective on what has been good about regulation as well as what has been flawed--of the factory accidents that were prevented because of the lessons learned from the Triangle Factory fire, the medical problems that were prevented because of the kinds of regulators that evaluated Thalidomide and other drugs, and all the other benefits, often unrecognized, of things that didn't go wrong because of regulation. Sadly, this is one of two posts this week of the deaths of two icons of the technical community, and of my professional career--Harold Denton, who was the face of the Nuclear Regulatory Commission (NRC) at the time of Three Mile Island (TMI), and Mildred Dresselhaus, an MIT professor who did pioneering work in the field of nanotubes, and so much more. Both have achieved a kind of "rock star" status during the course of their careers. I only learned of the death of Harold Denton about a week after his February 13, 2017 death, when I saw an obituary for him in the Washington Post. Although Harold Denton had a long and distinguished career at NRC and its predecessor, the Atomic Energy Commission (AEC), the article focuses almost exclusively on Harold Denton's role in the aftermath of the TMI accident. This is fitting, as the accident was a pivotal moment for NRC and the nuclear industry. As the obituary makes clear, Harold Denton exuded an air of calmness and competence that was critical in reassuring the public--and in beginning what would be a long process of analyzing and responding to the accident. I did not join the NRC until a few years later, and I never worked directly for Harold, but while I was at NRC, I had many opportunities to see him in action in meetings and to speak to him. By this time, the "rock star" status was past history--the Post reports that Harold was profiled in People magazine, he was awarded honorary degrees by several Pennsylvania colleges, and his likeness even appeared on T-shirts--but he still was held in high esteem at NRC. Even when the issues were contentious, he never seemed to lose his cool. The same calm manner that reassured the public gave him an air of authority among his peers. It is interesting to reflect on the importance of the competence he brought to a frightening situation. While many people criticize regulatory overreach, regulators often play a key role in averting crisis in the first place, and when the unimaginable happens, of working to assure the safety of the public. The Post comments that, "He was that oft-maligned figure, a $50,000-a-year federal regulator, who managed to be the voice of competence and reason at a time of peril." Not every regulator is a Harold Denton, of course, and most of the time--fortunately--we are not dealing with events as extraordinary as TMI. Had TMI never happened, Harold would have had a very successful career at NRC and would, undoubtedly, have made significant contributions to nuclear power regulation, but except among his colleagues, these contributions would have been largely unnoticed. It shouldn't take a TMI to bring to the public attention the kinds of skills and talents that reside in the bowls of our government agencies and the importance and value of those skills and talents for the American public. Harold Denton would have been a remarkable public servant even if he had never been in the public eye. The world has truly lost someone who probably never expected to be in the limelight, but who, when the need arose, stepped up to the plate and did a remarkable job. Note to readers: The URL title of this post was intended to be "A Tribute to Mildred Dresselhaus." In attempting to add the YouTube video of the Super Bowl ad, my control over the title has somehow been overridden. Although the right title appears in the post, the URL is not the same. I am not sure whether to blame YouTube or the blog host, but given that this is a tribute in memory of her, I feel the original title of the video is inappropriate, and just wanted readers to be aware that this was not my choice. Sadly, this is one of two posts this week on the deaths of two icons of the technical community, and of my professional career--Harold Denton, who was the face of the Nuclear Regulatory Commission (NRC) at the time of Three Mile Island (TMI), and Mildred Dresselhaus, an MIT professor who did pioneering work in the field of nanotubes, and so much more. Both have achieved a kind of "rock star" status during the course of their careers. 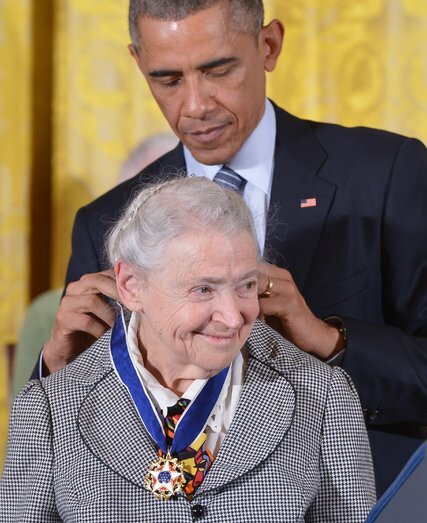 When I heard the news about Mildred Dresselhaus' death early this week, I was doubly sad. First, I had known her for a long time, and I knew about her work and her accomplishments. But second, she had been slated to speak to the Washington, DC area alumni/ae on March 9, and I had been looking forward to attending and to seeing her again. My earliest encounter with Mildred Dresselhaus, or "Millie," as we all knew her, was in the early days of my freshman year at MIT. This was at a time when there were very few women in science or engineering, so it probably makes her the first female scientist I met. She had a great interest in helping and mentoring the small number of women at MIT, and had come to our dorm to talk to us about careers--and about combining careers and a personal life. This is a subject that still gets attention today. Even then, her energy and devotion to both her work and her family were clear. The fact that, as a young professor, she took the time from her work to help mentor us was telling. This was a time when mentoring was not as common, and did not help a junior professor in advancing through the ranks. In fact, as she said repeatedly throughout her career, she took only a day or two off for the birth of each of her children, which was undoubtedly a reaction to the fact that, in those days, her career would have been doomed had she taken much more time off. In fact, although I haven't seen it reported in the obituaries, I recall her telling us that, when her babysitter was unavailable, she took her babies to work with her at the MIT Magnet Lab. After I left MIT, I didn't see much of Millie for many years, although I periodically heard about some of her many achievements. (Since these are detailed in the obituary, I won't repeat them here.) But to my delight, our paths crossed again while I was at the Department of Energy (DOE), as my tenure there overlapped with her appointment as head of the DOE Office of Science. We were in different offices, so our paths didn't cross every day, but our offices had some common interests, and I was able to meet with her a number of times and to get to work with her as a professional. Following that, our paths crossed less often, although I met her several times at conferences of the American Association for the Advancement of Science (AAAS). Therefore, I had been very excited when I saw that, even in her mid-80s, she was scheduled to come to Washington, DC, and I was looking forward to hearing her speak and to seeing her once more. It is particularly bittersweet that her death comes just as she assumed real "rock star" status, with the General Electric ad at the last Super Bowl designed to encourage women to study science and engineering, and having been dubbed the "Queen of Carbon" for her nanotube work. My only consolation is that she will live on in all she has done in her career, both in her technical work and in her support and assistance to so many women in their careers. 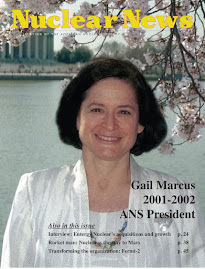 My last blog on my experiences in the Presidential appointment process as a candidate for a position on the board of the Defense Nuclear Facilities Safety Board (DNFSB) elicited several comments about the undesirability of Board members staying on after their terms have expired if they are not immediately replaced. Since this is an issue I have had occasion to think about in the past, I thought I'd follow up the comment with a little history of practices in several different agencies. First, a primer on boards and commissions versus single administrator agencies. Basically, boards and commissions operate very differently from single administrator agencies. In the latter, once an administrator is nominated by the President and confirmed by the Senate, they serve "at the will of the President." That is, they are able to stay in their position until either the end of the President's term of office or until the President replaces them. The President can replace any such individual at any time and for any reason. If there is a gap between when one administrator leaves and another is nominated and confirmed, that position is filled on an acting basis by the most senior civil service employee of the agency. On the other hand, boards and commissions have several members who are co-equal in status (in terms of their votes on agency decisions), although one is designated by the President as the chairman. Boards and commissions generally have an odd number of members (usually 5 or 7) in order to minimize tie votes, and since they are required to represent a spectrum of views, no more than 3 (in the case of a 5-member commission or board) or 4 (in the case of a 7-member one) can be from the party in power. The other members are from the opposite party, or may be Independents. The members of boards and commissions are appointed for staggered terms. The terms are fixed in that, if a new board member or commissioner is appointed in the middle of a term, the official end of the term, they do not get a full 5-year (or 7-year for larger boards) term. These terms are independent of the presidential cycle, so some appointed members may continue to serve into the next Administration. They cannot be removed, except for "cause" (doing something illegal), so their term cannot be terminated for political reasons. However, for most boards and commissions, a commissioner or board member whose term has expired is permitted to stay in the position until a replacement is appointed. That is the situation for the DNFSB. There have been cases, where either the President has not nominated a replacement or the Senate has not confirmed the replacement, where an individual has been able to stay in their position for several years, even though their term had expired. On the surface, it might appear that this has one advantage--a board or commission could continue to have a full, or nearly full, complement of members even if the President or the Senate failed to act. However, as the comments I've received suggest, this has undesirable aspects as well. It appears to remove the pressure for the President and the Senate to act, and depending on the politics, it could encourage a Senate that is hostile to the President to stall a confirmation to maintain the status quo. Another feature of commissions and boards is that, if a vacancy develops, there is no provision for someone to serve as an acting member. Therefore, there can be cases where the board is evenly split between parties and tie votes can occur; alternatively, there can be cases where the board split is 3 to 1 (for a 5-member board missing one member). If a chairman leaves, one of the other board or commission members does fill in as the acting chair, but there are no acting board members or commissioners. It turns out that there are some variants to the rules for commissions and boards. One notable example is the Nuclear Regulatory Commission (NRC). I recall a discussion many years ago with the late Manning Muntzing, who headed a prestigious law firm in Washington prior to his death. Earlier in his career, Mr. Muntzing had worked as an attorney for the local telephone company. In that capacity, he dealt with the Federal Communications Commission (FCC) and observed the effects of this practice. Later, he worked as a lawyer at the Atomic Energy Commission and was there at the time that the AEC was split up and the NRC was created. In this capacity, he helped draft the legislation establishing the NRC. He claimed responsibility for inserting the language into the authorizing legislation for the NRC that require an NRC commissioner to leave his or her position the day his or her term expires. I recall that he was very proud of this provision. He felt it would hold the President's and the Senate's feet to the fire and assure that they made timely appointments to the NRC. How did that work? Well, over the history of the NRC, it has frequently operated with four, or even three, members instead of the full complement of five, either because the President did not nominate someone to fill a seat that was expired or about to expire, or because the Senate did not act to confirm a nomination. On one occasion, the NRC was down to two members, leading to concerns about the legal standing of any significant actions taken when there was less than a quorum of members. Fortunately, that period was brief and the Commission managed to avoid any critical decisions. Conceptually, this could happen again, since the NRC only has three members at present, and Chairman Svinicki's term ends this June 30. Presumably, since the President just named her as Chair of the Commission, I would expect that he will reappoint her, and since the Senate has a Republican majority, I would expect her to have an easy reconfirmation. Therefore, in this case, it is NOT likely that the Commission would go down to two members. However, in other circumstances, a three-member Commission with 4-1/2 months to go on the term of one of them could be a cause for concern. During the last few months, I became aware of yet another nuance in the rules, at least at one agency. At the FCC, I recently learned, commissioners can stay on after their terms have expired, but only until the end of the session of Congress during which their term expires. What the reasons are for this particular variant of the rules, I don't know, nor have I been able to find any other agencies that have a similar requirement, or that have any other variants. What this does show is that, while most agencies operate under the same rules as the DNFSB, there are other models. It is not clear that any one of these models is better than the others. As the examples above illustrate, there is a downside in each case. While a board that operates with 3 of its 5 members holding expired terms--as I believe has been the case at DNFSB since October 30--leaves something to be desired, the alternative model under which the NRC operates introduces other potential problems. In any event, the only way of changing the rules for board members or commissioners of such agencies would be to modify the authorizing legislation of the agency. That is probably a measure most agencies would not want to take for an action that might only substitute one set of problems for another. So You Want to be a Presidential Appointee? About a year and a half ago, I was contacted by the White House asking if I would be willing to be nominated for a Presidential appointment. In the scheme of things, the position was a very low-profile one, but with the current spotlight on the nominees for major positions in the new Administration, I thought it might be instructive to some to outline what can happen, even if the case of much lower-level positions. August 11, 2015: I receive an e-mail from someone in the White House personnel office asking me if I would have an interest in serving on the Defense Nuclear Facilities Safety Board (DNFSB). For those who do not know it, DNFSB is a small "independent organization within the executive branch of the United States Government, chartered with the responsibility of providing recommendations and advice to the President and the Secretary of Energy regarding public health and safety issues at Department of Energy defense nuclear facilities." I had not been seeking a full-time position of any sort, but as soon as I am asked, I realize that this is a real honor and I decide to pursue it. I speak to her by phone that day and meet with her two weeks later. October 13, 2015: I learn that they sent my name to President Obama and he authorized them to start the "vetting" process. The vetting process involves the collection and review of an extensive dossier on the individual--financial information, memberships, foreign travel, etc. I have to fill out several lengthy forms, get some information from my accountant, and have two-hour telephone interview with someone from the White House to go over all the details in the forms. I wish I'd kept a record of how many hours I spent on the forms. It was substantial. I had to report every stock I owned, every foreign consulting assignment my husband or I had, and every foreign trip I'd taken, whether for business or pleasure, for the past 10 years. I had worked for DOE and OECD in that period. I'd lived in two countries in the last 10 years and had traveled a lot. I begin working with several people, one in the White House, and one at DNFSB. In the course of this review, they ask for all my financial information. This includes the investments in a family trust for which I am a trustee. They identify 4 very small amounts of stock that are not in energy-related companies but with which, for some reason, the Department of Energy has some sort of contractual connection. As a condition of my taking a position as a Board member of DNFSB, I have to sign a form saying I will either resign as a trustee or sell the stocks in question. This requires my getting the consent of family members involved. I also have to agree to resign as from any board or committee positions, including committees of the American Nuclear Society and of my local alumni association, both non-profit organizations. The vetting process also requires interviews by the FBI and others. They interview me, they interview several of my neighbors, and they send people from the US Embassy in Paris to interview several of my former colleagues and friends in France from the period that I worked for the OECD Nuclear Energy Agency. I always wondered how much that all cost. During the course of this process, I am contacted by a headhunter about a possible position on a corporate board of directors. If I were to be selected for this position, it would be more money for less work than the DNFSB position. Still, I decide the DNFSB position would be for the greater good, and I decline to pursue the position. The process spins out over several months, and there are changes in my contacts, both in the White House and in DNFSB. April 26, 2016: The White House issues a press release nominating me to the position. I then discover there is more paperwork to be filled out, and I work with DNFSB people on the additional forms. These forms are to be sent to the Senate Armed Services Committee (SASC), which has jurisdiction over the DNFSB. One form turns out to be the same form I'd already completed for the White House. However, it had been so long since I'd filled it out that I fill out half of it again before I realize it! Another form turns out to be the wrong form from the Committee and needs to be redone. During this period, I am contacted by someone who wants me to write an article (for no pay) for a publication of the OECD, my former employer, and an international organization of which the U.S. is a member. I am advised not to accept this assignment out of concern that it could cause problems for the confirmation process. No details are given. June 29, 2016: The last of the paperwork is sent to the SASC. July 12, 2016: The SASC reports my nomination out of Committee along with 141 military promotions and 2 other civilian nominations. This is an exciting moment--they moved quickly, and I am only one step away from completing the process! I need only a vote by the full Senate to confirm me. But summer recess looms. I am told that they may act on it when they reconvene in September 6. December 10, 2016: The Senate adjourns without acting on my nomination, effectively killing it. My White House contact tells me that there is some chance that this could still be acted on before the end of the Administration. Technically, the White House has to renominate me (along with others who are in the same position). January 17, 2017: I get a message from the White House telling me that I was not renominated. The message tells me that this is the sender's last day. In fact, when I reply to him an hour after receiving the message, I get an automatic reply that he is already gone! Reflections: Why tell this story? My experience was certainly not unique. Hundreds of appointments have dragged on for a long time, some for longer than mine. While I was under consideration, an Obama nominee for an Ambassadorship died while she was awaiting confirmation. I am not writing to lay blame on any institution or political party. Each step of the process (except the SASC action) took longer than I expected it to. Many appointments are delayed for political reasons or because of controversies about the individuals. Since this was not the case for me, I had hopes that my appointment might move faster. But there may have been factors that were never shared with me. The position I was to fill was being held by a Board member whose term had expired. Officially, this was not a factor. As soon as someone new is appointed, the person in the position leaves. This is technically the rule, but did it delay progress? That is possible, but with other appointments also delayed, it is impossible to tell for sure what the reason was in my case. There are, of course, cases where appointments move very quickly. One former NRC Commissioner told me his appointment--which was years ago--had no delays at all. A number of the nominations made by the new Administration in recent weeks have also moved quickly, even in some cases where they are controversial. I have even wondered how all the paperwork and other vetting that I went through could possibly be taking place for some of these nominations. I should also emphasize that, in some ways, I am luckier than other nominees who get caught in this process. I had spent most of my career in the Federal government in positions requiring a security clearance, so I'd been through similar reviews before. I was already keeping the kinds of records that might be difficult for others to assemble, like my past foreign travel. This review was more detailed than past security clearances, but I had most of the basic information. I live in the Washington area. I did not have to start preparing to relocate quickly in anticipation of suddenly being confirmed. While I did turn down some consulting assignments, they were fairly minor. I am aware of other nominees who find that they are unable to conduct their business at all while they are under consideration. I felt it was useful to share this story because I think most people do not fully understand the Presidential appointment process. Since I work in Washington and have worked with a number of Presidential appointees, I thought I knew more than most about the process, but I still encountered a number of surprises along the way--the number of people I dealt with, the amount of paperwork, the number of colleagues and acquaintances who were interviewed, the surprise findings about some minor amounts of stock, the restrictions on my personal activities, both during the process and if confirmed, the long-term ramifications for an individual when opportunities arise during this period, and the details of what happens to pending nominations during the final month of an Administration. This is not intended to discourage people from accepting invitations to be nominated in the future. Some nominations, as I have said, do move more quickly. It is an honor to be nominated by the President for any position, and I, for one, felt it was my duty accept, and, if confirmed, to serve. I would probably agree to be nominated again, if asked, and I would encourage others to accept such offers as well. However, anyone starting this process should be fully aware that it can be a long and tortuous road, even for positions that are not in the limelight and for individuals who believe that no controversy surrounds their nomination, and it can have impacts on one's investments and activities. While this is not strictly a nuclear issue, the issue of worker productivity affects all enterprises, so I will take some liberty with the theme of this blog and report on a recent Organization of Economic Cooperation and Development (OECD) study of worker productivity in a number of countries, as reported by Time magazine. With the recent attention focused on the French law restricting e-mails to employees after work hours, there has been increased focus on issues of overwork and burnout. The OECD report looks at the Gross Domestic Product (GDP) per hour worked, and concludes that working more hours does not result in more productivity (as measured by the GDP). The measure of hours worked is the average for all employed citizens, including full- and part-time work. In particular, the U.S. came in 5th out of 35 countries in productivity, behind Luxembourg, Ireland, Norway, and Belgium. France, which is famous for its short work week, came in 7th, while Japan, which is famous for its extremely long hours, came in 20th. What was particularly striking to me was that, with the exception of the U.S. and Ireland, most of the countries in the top 10 group in productivity had an average work week of about 30 hours or less. Germany, had the lowest average work week (26.3 hours), while the U.S. and Ireland weighed in well above, at 33.6 and 33.5 hours, respectively. (Remember that all the numbers include part-time workers; hence we don't see the famous 40-hour work week.) By contrast, the 25 countries following the "top 10" had average work weeks ranging from 30.9 hours (Austria) to 41.2 hours (Mexico). Of course, this is one statistic, and I am sure that other statistics might present a different picture. In particular, I personally wonder how the productivity numbers stack up when one compares particular sectors of the economy. And one can wonder how much of the difference in hours worked is due to cultural behavior. I know from my time in Japan that workers felt a kind of social obligation to stay at their desks long into the evening, whether or not they really had something urgent to do. Still, it is an important indication, particularly in this era of 24/7 connectivity, that we need to rethink some of the assumptions many employees and employers have had about the importance of working longer hours than the nominal work week. With that off my mind, I promise to get back to discussing nuclear- and other energy-related issues. I was pleased to get a message a couple of weeks ago from a friend and colleague in France, Dominique Greneche, reporting on the publication of his book on the history of nuclear reactors. In the past decade, it seems to me that there have been a number of new books on various aspects of nuclear history (including my own on "Nuclear Firsts"). This most recent addition to the nuclear history library looks like one of the most comprehensive of the genre. Unfortunately for some of us, it is presently available only in French, but it looks like it would be a wonderful addition to the collection of anyone who is a Francophone. And, given the interest in the book, Dominique hopes to have the book translated into English in the future. I am delighted to announce you that my book on the history and technique of nuclear reactors and their fuels has just been published (with the French editor “EDP-Sciences”). This 766-pages book is the result of a long and patient work that lasted about five years. It is the fruit of a vast professional experience which allowed me to enrich the text of numerous personal testimonies. It is also the result of several decades of teaching in engineering schools and French universities as well as in some international institutions. Finally, it is the product of a careful examination of an abundant literature (more than 400 references are cited) including rare documents or materials taken from my extensive personal library constituted during my long career. The first two chapters (almost 70 pages) are devoted to a retrospective of the great discoveries on atoms and nuclear energy for 2,500 years (Lucretius, Democritus) until the first chain reaction on 2/12/1942 in Chicago (CP-1). I devote a second part to the operation of nuclear reactors, with some reminders of nuclear physics and a concise description of the physics of the cores of nuclear reactors. In a third part (which constitutes the "heart of the book"), I develop all the genesis of nuclear reactors, explaining in detail their structure, especially regarding all possible choices for their main three components that are the fuel, the heat transfer fluids and the moderator. I also explain the history of nuclear power in the major countries (France, of course, but also USA, GB, and former USSR), with paragraphs dedicated to the development of various reactor lines in each country (chapter 14). I describe the major industrial nuclear reactor types: UNGG, MAGNOX, AGR, HTR, RBMK, heavy water (different subclasses), light water (with a direct comparison between PWRs and BWRs and finally the FNRs (chapter in which I examine in particular the "secrets" of FNR physics). I also describe "other reactors" such as naval propulsion reactors (especially submarines) or reactors for space applications (space rockets or spacecraft), again combining the technical and historical aspects. In this part I evoke of course the reactors of the future. Finally, the fourth part is devoted to fuel cycle technologies (including a historical chapter for uranium, for enrichment and for reprocessing) with a special chapter dedicated to thorium. In short, this book is a broad technical-historical portrayal on nuclear energy and nuclear reactors. It explains in particular the choice of reactor lines and especially the reasons for the dominance of light water reactors today in the world. It has no equivalent in France (and abroad I think), by the extent of the subjects treated and the very close ties that are established between history and the discoveries or founding inventions as well as the development of the nuclear reactors themselves. So I consider that it will be a solid and unique reference in the field of nuclear energy. It is very successful and is extremely appreciated by those who have started to read it. Besides, I have received praises from several high-level persons in nuclear sector in France. The book is available from the publisher. This comprehensive volume looks like an outstanding addition to the growing set of books on the history of nuclear power, and I certainly hope it is successful enough to merit a future edition in English.